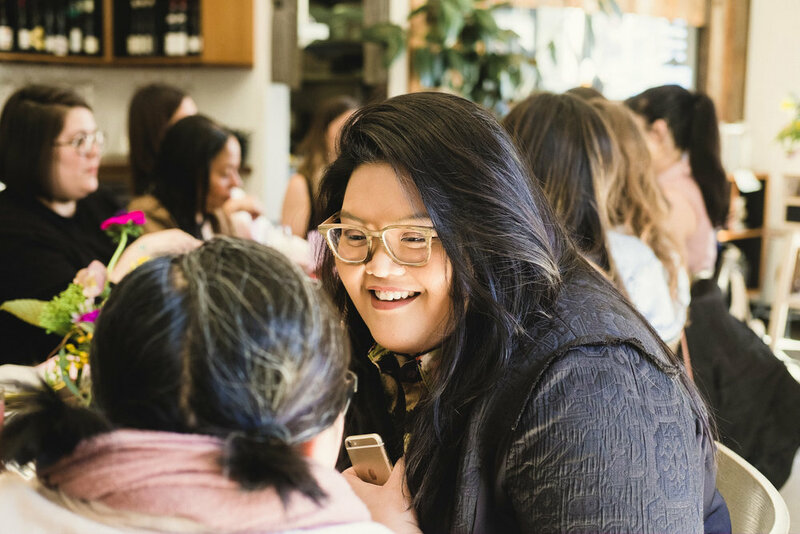 On March 8, 2019, Lien Ta invited 18 other courageous women running top restaurants in Los Angeles for a lunch party at her own restaurant, Here's Looking At You. The occasion: International Women's Day. We celebrated some of the hardest-working women in this city with a nourishing meal of BBQ ribs and Peruvian chicken prepared by Chef/Partner Jonathan Whitener, distinctive wines made by female winemakers and a candid conversation on identifying what is it that we, the owners/operators, do that is most vital (and only we can do!) to grow our businesses. We find time to do it all -- because we're women. For more images of the event, click through our gallery below! Genevieve Hardison of Baco Mercat, et al.